1) एक मेज या मेज के नीचे "कवर" लेते हैं और जब एक भूकंप हमलों पर यह करने के लिए "पकड़" हर किसी के लिए "बतख" सिखाने या फर्श करने के लिए ड्रॉप। वाक्यांश याद रखें: "। बतख, कवर और पकड़ो"
California Governor’s Office of Emergency Services and Federal Emergency Management Agency. 1993. An Ounce of Prevention: Strengthening Your Wood-frame House for Earthquake Safety. Sacramento, CA: California OES. California Governor’s Office of Emergency Services and Federal Emergency Management Agency. 1995. Guide to Strengthening and Repairing Your Home Before the Next Earthquake. Sacramento, A: California OES. California Seismic Safety Commission. 1998. 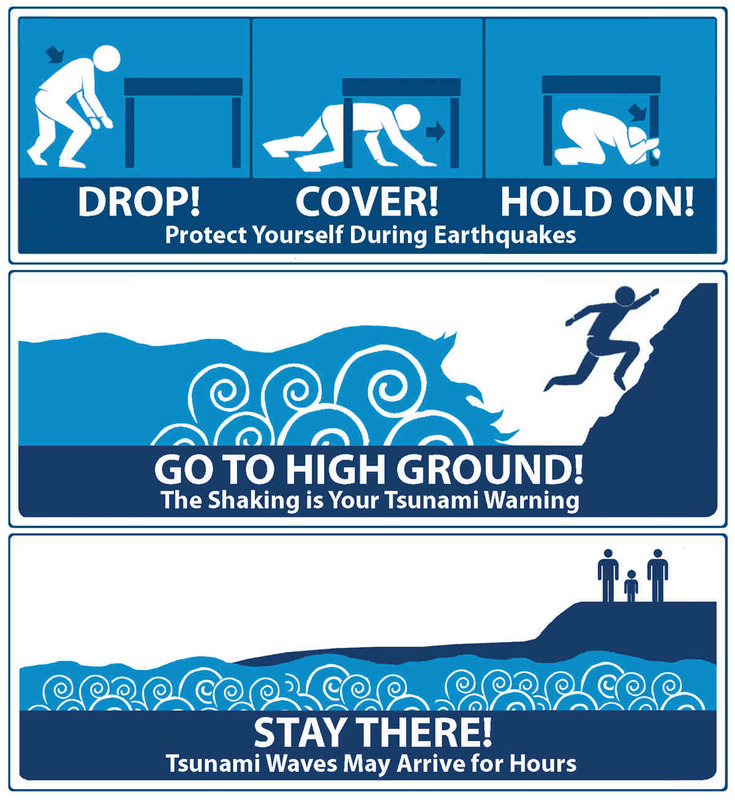 The Homeowner’s Guide to Earthquake Safety. Sacramento, CA: California SSC. Federal Emergency Management Agency. 1994. Reducing the Risks of Nonstructural Earthquake Damage. FEMA 74. Washington, DC: FEMA. Federal Emergency Management Agency. 1998. Homebuilder’s Guide to Seismic Resistant Construction. FEMA 232. Washington, DC: FEMA. Federal Emergency Management Agency. 1993. Identification and Reduction of Nonstructural Earthquake Hazards in Schools. FEMA 241. Washington, DC: FEMA. Gray, Ralph Gareth. 1991. Riding Out the Big One. Fine Homebuilding. Two Part Series: December 1990/January 1991. Kimball, Virginia. 1992. Earthquake Ready: The Complete Preparedness Guide. Malibu, CA: Roundtable. Mroz, M.P., and T.T. Soong. 1997. NIST GCR 97-732: Fire Hazards and Mitigation Measures Associated with Seismic Damage of Water Heaters. Gaithersburg, MD: National Institute of Standards and Technology. How well will your home resist damage during a 5.0 earthquake? How about one that is a 7.8 or greater? Most houses typically will need some type of reinforcement to withstand a major earthquake. To answer some of these questions you may need to enter uncomfortable or small spaces. You may want to have an experienced inspector or professional structural engineer or competent architect checks your home, instead. 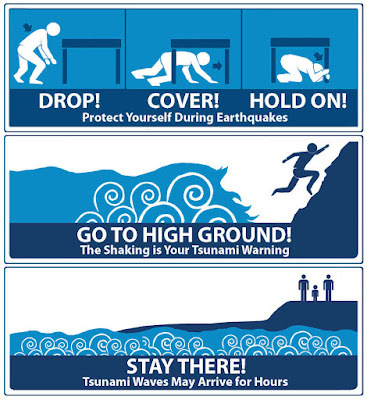 Whatever choice you make, take some time to do this before the next earthquake strikes. Here is a checklist that will help you focus on how to strengthen your home. c) using safety film on windows. In most cases, you will not need a building permit. It is a good idea, however, to contact your local building department to make sure. Structural retrofits are modifications that increase an existing building's ability to withstand earthquake activity. For organizations that want increased earthquake protection but cannot afford to rebuild their existing stock of buildings, retrofits may offer the only alternative. The most vulnerable buildings are unreinforced masonry (URM) since they face the highest probability of collapse during an earthquake. According to the Office of Technology Assessment, retrofits for URM buildings cost an average 23 percent as much as new construction. Faced with such high costs, some building owners may decide to rebuild. However, some organizations simply cannot afford to rebuild (23 percent is cheaper than 100 percent). Retrofits strengthen your home’s structure or skeleton so it can better withstand the force of an earthquake. Your home’s structure is made up of many different parts, or components, which must work together in order to resist an earthquake. Modifications to your home’s structure tend to be quite involved and generally require the expertise of a registered design professional (engineer, architect or building contractor) and your local building department’s approval. If you have any questions or concerns about what you see, contact a professional engineer or architect. 2) Learn first aid and CPR. 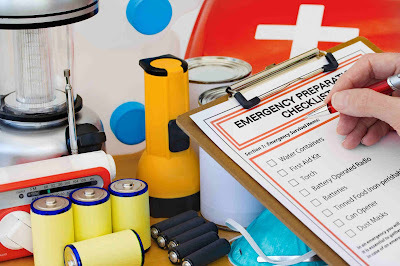 3) Put together an emergency kit that includes at least a three-day supply of drinking water and food that needs no refrigeration and, generally, no cooking; emergency cooking equipment, if required; a portable NOAA weather radio; first aid supplies and medications; basic tools, such as a wrench, a flashlight and gloves; portable lanterns and batteries; credit cards and cash; and important documents, including insurance policies. 4) Know where your gas, electric and water main shut-off controls are and how to turn them off if there is a leak or electrical short. Make sure all adult and teenage members of your family know how to shut off each utility. 5) Become familiar with your community’s disaster preparedness plans and create a family plan. Know where the closest police, fire and emergency medical facilities are located. 6) Plan an escape route from your home and neighborhood and designate an emergency meeting place for the family to reunite. Establish a contact point to communicate with concerned relatives. 7) Periodically review your homeowner’s insurance policy with your insurance agent or company to make sure that, if you are the victim of a disaster, you have enough coverage to rebuild your home and life. The typical homeowner’s insurance policy does not include earthquake coverage. If you are in an earthquake-prone area, you should consider purchasing earthquake insurance. 1) If you are indoors, “duck, cover and hold” until the shaking stops. Do not try and run out of a building – you may be hit by falling debris. 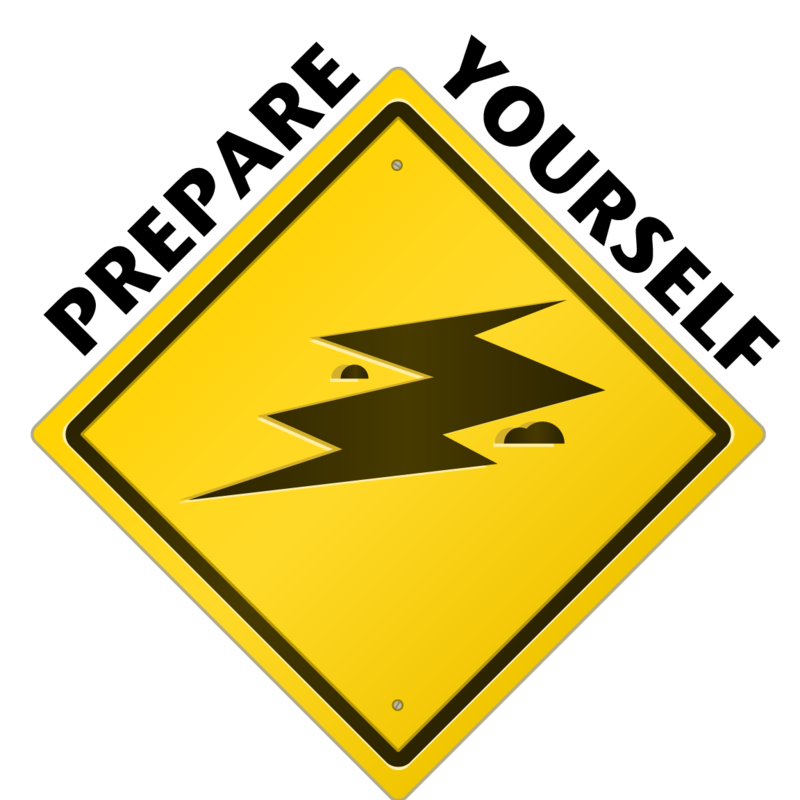 2) If you are outdoors, move quickly and safely into the open, away from electrical lines, trees and buildings, and wait for the shaking to stop. 3) If you are driving, carefully and slowly bring your vehicle to a stop at the side of the road away from traffic. Make sure that you do not stop on or under bridges. Do not stop under power lines or near roadway signs that might fall. Once the shaking has stopped, you can continue driving. Watch carefully for possible damage to the roadway. 1) Check for hazards, such as gas or water leaks and electrical shorts. Turn off damaged utilities. Have the fire department or gas and electric companies turn the utilities back on when the area is secured. 2) Check for injuries and administer first aid as needed. 3) Check your food and water supplies. Do not eat anything from open containers near shattered glass. 4) Listen to and follow the advice and recommendations of local aid organizations, including the emergency management office, the fire department and the utility companies. 5) Keep roads and phone lines clear for emergency use. 6) Be prepared for aftershocks. 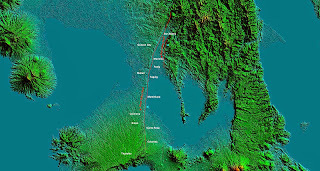 The Valley Fault System (VFS) in the Philippines, is a dominantly dextral strike-slip fault system that extends from Dingalan, Aurora in the north and runs through the cities of Quezon, Marikina, Pasig, Makati, Parañaque, Taguig and the provinces of Laguna and Cavite. The fault possesses a threat of a large-scale earthquake with a magnitude of 7 or higher within the Manila Metropolitan Area with death toll predicted to be as high as 35,000 and some 120,000 or higher injured and more than three million needed to be evacuated according to JICA. For an interactive and large version (tablet, mobile, desktop) go directly to Google Maps, Click here, PHIVOLCS West Valley Fault Line Google Map. 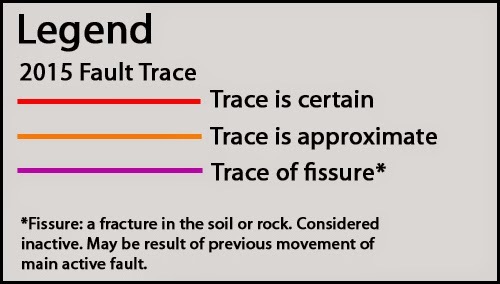 Note: Recommended minimum buffer zone from the fault is 5 meters as reckoned from the both sides of the fault trace or from the edge of the deformation zone. The west segment, known as the West Valley Fault (WVF) is one of the two major fault segments of the Valley Fault System that runs through the cities of Marikina, Pasig and Muntinlupa and moves in a dominantly dextral strike-slip motion. The West Fault is capable of producing large-scale earthquakes on its active phases with a magnitude of 7 or higher. The eastern segment, known as East Valley Fault (EVF) moves in an oblique dextral motion. Disclaimer: The Google map of the Marikina Valley Fault Trace, which has been adapted from the PHIVOLCS Valley Fault System Atlas, is for general reference only. Please consult the Atlas as final reference. If you find your house/building on top or within 20 meters of the trace of the Markina Valley fault on this map, refer to the official Atlas from PHIVOLCS or you may contact them for more information at Contact PHIVOLCS. The VFS Atlas maps can be downloaded per city or municipality. You may click the linked pages to download files. Downloading of each file may take some time due to big file size. Nelson, Alan R.; Personius, Stephen F.; Rimando, Rolly E.; Punongbayan, Raymundo S.; Tungol, Norman; Mirabueno, Hannah; Rasdas, Ariel. 2000. 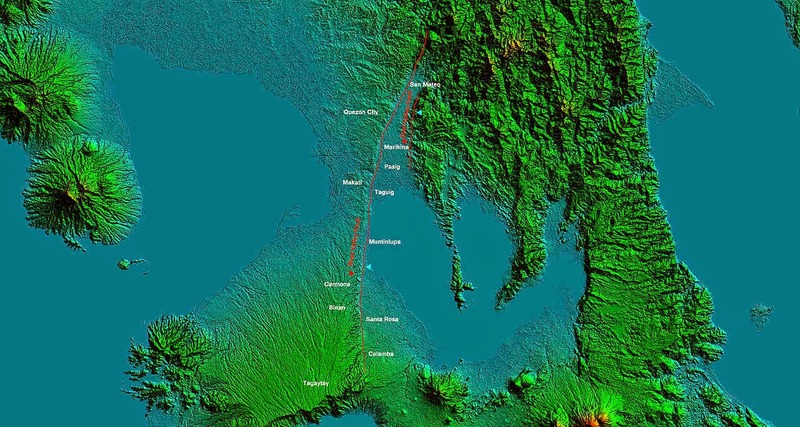 Multiple Large Earthquakes in the Past 1500 Years on a Fault in Metropolitan Manila, the Philippines. Bulletin of the Seismological Society of America 90 (1). Rimando, Rolly E.; Knuepfer, Peter L. K. 2004. Neotectonics of the Marikina Valley fault system (MVFS) and tectonic framework of structures in northern and central Luzon, Philippines. Tectonophysics 415 (1-4). Elsevier. Paano Kumuha ng NBI Clearance?